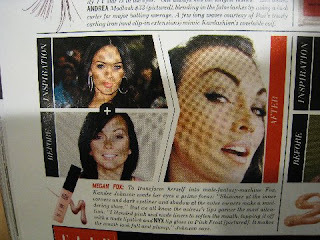 kandeej.com: I'm in ELLE magazine!! woo hoo! you are amazing! This is well deserved! Congrats!!! I got my subscription in the mail and am so proud of you!! Eeek! holy moly macaroni!!!! so awesome kandee! you are amazing!!! thanks for all that you do! i'm going out right after work to get the magazine!!!! kandee im so happy for you this just shows how much of a great talent you are im about to leave and get my copy. Have to support my #1 guru!!!!!!!!! Awwwww, congratulations Kandee! You deserve all the recognition you get, it couldn't happen to a sweeter person. Yay! Congratulations! You deserve it. You are an inspiration to so many people. That is soo fantastic!! Many congratulations!!! You BELONG in the magazines, public spot light!! You are such a wonderful person Kandee Johnson! You deserve nothing but the best that life has to offer! Many wonderful wishes sent to you and yours! :0) Have a fantabulous day! ...ain't no thing... the first of many I'm sure. Congrats! I've only stumbled upon your excellent videos this morning after being recommended by a makeup artist friend of mine..
kandee gurly I am going to buy a ELLE magazine TODAY asap!! not for who ever is on the cover but for you!! I am so excited and happy for you!! You are my role model I love you SOOOO much!!! Good job girl keep it up! You're dream garden is going to be a dream plantation soon, complete with sparkles and smiles and fun fun make-up! So happy for you! You see Kandee, all your hard work is being noticed. Congrats and continue with your awesome videos, we will view them again and again and again. awesome! congrats kandee, ure the coolest!! Kandee that is sooo EXCITING!! :D Congrats you deserve it!! You are a superstar!!! congrats!!! that is totally awesome. keep up the good work! KANDEE!?!?! this is sooo exciting! YAAAYYYYY!i'm totally buying one today!! yaaayyyy!! imso happy for you! Woohoo! Congratulations! If I were you I would not be ashamed to tell absolutely everyone. What a great accomplishment! that's so cool, congraduations<3 im buying it tonight. That has happened to me!! The whole just picking up one of ur fave magazines and your fliping through and then...OMG!!!! its you!!! I don't even read Elle, but now I'm going to have to get a copy. Yay you!! Also, I have watched all your Halloween Makeup videos, and they are all awesome! Never mind the low view count, maybe it's just that there aren't a ton of people who are into Halloween. It's not necessarily a reflection on you! Keep up the awesome work and positivity! Much love to you!! And keep spreading the love!!! I just saw that magazine at the store but i didnt look in it, i should have! haha, so happy for you! You and Emily and my two favorite makeup gals to watch on Youtube, and you're both on the same page of ELLE!! Do I know how to pick them or what?! So excited for you! Congrats! I already got my copy! Oh my gosh, congratulations!! You completely deserve this and I'm definitely going out and getting a copy soon! Congratulations Kandee! It's so amazing watching your career skyrocket, and I think it's really cool that you've shared every step of your journey with your You Tube and Blogspot followers. I remember when I watched your video where you shared your personal story, and it's amazing how far you've come. You are such an inspiration to so many people. Congratulations on a well-deserved accomplishment! I am so happy for u!! i am a fan from Paraguay! Congrats!! I just started watching ur videos last week, which I luv, but I have a quick story 2 tell u about ur feature in Elle. I’m a mag junkie. 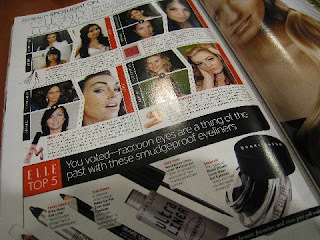 Anyhow, I look thru mags 4 makeup buying tips. Last weekend, I had tagged the page u r featured n b/c, on the same page, Maura gave suggestions on smudgeproof eyeliners (tend to end the day w/ raccoon eyes). That same weekend, I went onto youtube to get some makeup tips &, of course, there are a gazillion videos. I couldn’t decide which videos I could rely on 4 great tips. That being said, I made the connection that u were featured in Elle & u have youtube videos. Elle didn’t mention ur Youtube presence. Since I love Elle, I watched ur youtube videos 2 update my makeup look. This week, I hit the MAC store, & I got the pretty please lipstick & brule eyeshadow (luv both). Got a compliment on my new look! Thanks a ton! YAY! for KANDEE! You looked beautiful! Congratulations Kandee!!!! You're always an inspirations & a little sunny spot in our day. the truth is that if you´ve got something, that´s TALENT!!! Keep on going! This is great. Congratulations you are truely talented and so fun to watch. You are not only on Ella Magazine but y ou are also in the Most Popular Section of youtube!!! I was so glad to see you there cause I did not like it when you said you were not getting enough views! I hope this cheers you up! love you and your videos are awesome! You are a girl that God has blessed with an amazing talent and a lot of charisma and I think it's so cool what you do and how you share this talent with us! God bless you! I am so sure that this is going to open even more doors for you.. 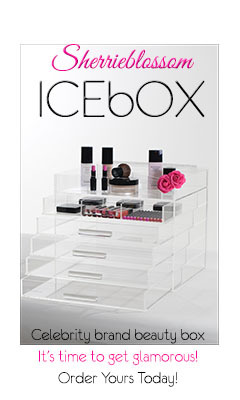 I bet you will soon have your own TV show or make up product line!! Kandee Congrats! Listen, I dont know how to use this blogger thingy yet but I wanted to put in a request. Can you do a video on how to cover Acne scars or blemishes.. I have tried everything and its ruining my life. Im very self conscious about it and cannot afford any kind of procedure to cover it. For now, I'm just packing it on. If you already have a video on it please let me know the title. Thanks. Hey Kandee!!! I so went out and bought that elle magazine just because you were in it and you look amazing im so happy for you!!!!!! LOVE YOU!! Okay Kandee I could not afford to buy 20 copies of Elle but I went out and got one because of you to show my suppose. I am not proud and happy for you. I still think you should have won (smilez). How I found Kandee Girl! A few months ago Jennifer Aniston was on the cover of Elle so I bought a copy - once in a while I will buy a magazine if a celeb is on it. After reading the article I wondered if there was more on the Elle website (another usual think for me to do). I then stumble on the Elle Makeup Videos and I'm like hmmmmm what is think let me check it out. I viewed your video on the "Beachy Look" and then I saw you click at the end that you were on youtube. I scooted over there (never been on youtube before) and I have never looked back since. I looked at all your vidoes you posted over the weekend. I just want to say how much I admire you for being who you are, so talented and lovely, I really enjoy watching your videos, I would love to have a friend like you!! And I'm off to find my copy of the magazine! !